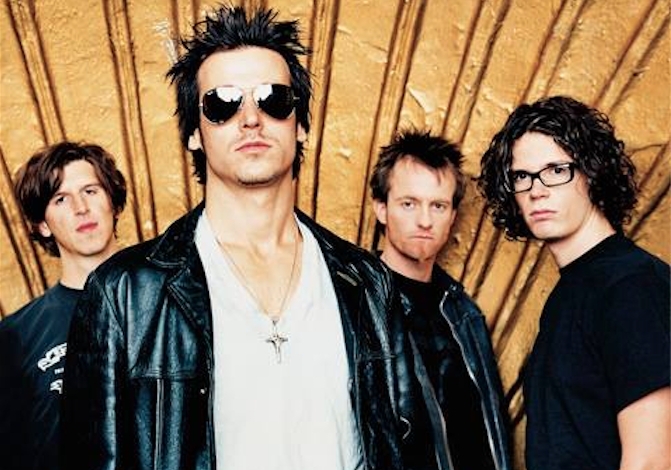 The Canadian rock band Our Lady Peace will be making a return to St. Louis to perform at the new Delmar Hall, which is a neighbor venue to The Pageant. 105.7 The Point will be hosting Our Lady Peace with their “Celebrating 20 yrs of Clumsy” tour on Friday, November 3 rd 2017. The tour is a salute to their pinnacle 1997 album “Clumsy” that dubbed them as major influencers of the 90s alternative rock era. The show will also feature the up incoming band SMSHNG HRTS, a cosmic blend of rock, pop, and experimental electronica. Our Lady Peace began almost serendipitously by a simple ad post for “musicians wanted” in a Toronto newspaper in 1992. Through talent and tenacity their sound caught the ears of Sony Music Canada, which lead to a record and their debut album “Naveed”. The public immediately praised the bands unique melodic structure and rock driven edge, amplified by the unique countertenor falsetto of vocalist Raine Maida. Their second album “Clumsy” was a bridge into a post grunge era showcasing calmer melodies, lighter riffs, and vocals fueled by personal introspection. The band went on to tour with high profile names like Van Halen, Alanis Morissette, Foo Fighters, and the Smashing Pumpkins. Our Lady Peace has been alluring fans across a varied generation over their expansive evolution of 8 albums, leading up to the newest teaser of their two part album “Somethingness” this year. The group has fluctuated some members along the journey, while holding onto the unique falsetto register of Raine Maida, and currently backing him with Duncan Coutts on bass, Steve Mazur on lead guitar, and Jason Pierce on drums. will all anxiously await to chant along to those nostalgic treasures like “Somewhere Out There” and “Clumsy”. The group will bring a dynamic performance to the Delmar Hall and a vibe that will resonate with “OLP” veterans and their new recruits. Our Lady Peace will be performing at the Delmar Hall on Friday November 3 rd 2017. Doors will be opening at 7 p.m. and the show will commence at 8 p.m. All ages are welcomed. Ticket options can be purchased at Ticketmaster.com.